Light & Darkness Radio: Featured Today! 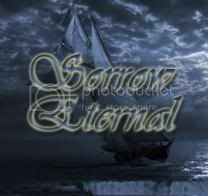 "Stratovarius, Equilibrium..."
To all US Listeners hope your having a blast this Memorial Day! And to all listeners I want to thank all for making L&D Radio your choice in Metal radio! Don't forget your requests makes this posts possible so keep sending your emails with feedback and requests! This are the Featured bands today! Stratovarius (FI) - Stratovarius was founded in 1984 in Finland under the name Black Water. They went through a number of personnel, style and name changes before the band found its own voice. The founding members were Tuomo Lassila, Staffan Stråhlman, and John Vihervä. By 1985, the name had changed to Stratovarius (a combination of Stratocaster and Stradivarius), and guitarist/vocalist Timo Tolkki entered the band, replacing Stråhlman. Tolkki became the driving force and mastermind of the band, assuming relatively complete control of the song-writing. He brought along not only strong rock influences, but also a neo-classical tinge. The band released a demo to various record companies by 1987, finally being picked up by CBS Finland. In 1989, their debut album Fright Night was released, following two singles. After being dropped by CBS, the band went through several member changes, but they managed to release a second album on another label. In 1994 they released their third album, Dreamspace, featuring new bass player Jari Kainulainen, and after that, a full-time singer joined the band: Timo Kotipelto. The release of Fourth Dimension (featuring Kotipelto on vocals) in 1995 was a great success, but internal differences in the band, particularly about the future musical direction, prompted the departure of long-time drummer Tuomo Lassila and keyboardist Antti Ikonen. Two new non-Finnish members were recruited: Swedish keyboardist Jens Johansson, of Yngwie Malmsteen fame; and German drummer Jörg Michael. With the fifth release Episode, Stratovarius had finally found its sound and had a strong, diverse line-up. Episode was a grand project, featuring a large choir and a string orchestra. It spawned some of the all-time greatest Stratovarius hits, such as Father Time and Will The Sun Rise. This line-up released three hugely successful albums over the years: Visions in 1997, Destiny in 1999, and Infinite in 2000. With every album, their fame and fan-base expanded, and they started gaining a stronger following outside Scandinavia, particularly in Japan. In 2003, the band released its most epic project yet, the two album suite named Elements. With these albums, they reached a peak in their progressive and symphonic style of power-metal. The first album, Elements pt. 1, was released in early 2003, followed by a world tour. Elements pt. 1 was followed by Elements pt. 2, also released on Nuclear Blast records the same year. In January 2005, Stratovarius recorded their self-titled new album which was released in the same year by Sanctuary Records. In June 2005, Jari Kainulainen left the band, and was replaced by Lauri Porra. In the fall of 2005, Stratovarius was on the road in the US. Stratovarius was at times progressive and experimentally skewed, and a rather dark record. It was a daring and ambitious album which took the band in a new direction. But unfortunately, dark clouds were shadowing the band’s path once again. In 2005, Sanctuary was starting to have severe financial problems and the whole label collapsed just as the record was released. Much of Sanctuary’s staff was made redundant, the stock price plunged, and banks and other creditors circled the company like vultures. The band played over 100 shows without any support from their record company, appearing at numerous festivals, and a long period of extensive touring all over Europe, Japan and South America began. One highlight was the two month Monster Metal Madness tour together with Shakra and HammerFall. It was a package of true power metal at its best, conquering Europe like an avalanche. In the meantime, Sanctuary’s financial troubles had really deepened. The band had to enter into a legal process with them to be able to release their next album. But the battle with this giant sinking multinational ship dragged on for more than a year, and it drained a lot of the spirit out of the band. In the end these tough times proved too much for Tolkki. In April 2008 he left Stratovarius and its debts and troubles behind, and gave the remaining members his blessing to do whatever they want with the band and the legal case, and formed a new band, Revolution Renaissance. The rest of Stratovarius’ members found themselves in legal limbo and with a heavy legal debt, but they were without preconceptions also all working on new music. The turning point came when a settlement with Sanctuary was finally achieved in late summer 2008. A burst of creative energy followed. The young and very talented Finnish lead guitarist, Matias Kupiainen, joined the band. In September 2008 the band found the freedom to go into seclusion for almost a month in a cottage by the sea in a Finnish forest to relax, laugh, write songs, be creative together, and record. And they found themselves being a band reborn. The result is a melodic, powerful, fresh, tight, and technically elaborate new album. "Polaris" was recorded in fall 2008 at Hästholmen and 5-by-5 studios, Helsinki, Finland. Mixed by the longtime confidant of the band Mikko Karmila the album became another shining polar star at the Northern sky. Powerful melodies mingle with sophisticated arrangements, strong anthems stand alongside heavy songs. 11 songs full of energy, musicianship, and a positive outlook. "Polaris" saw a worldwide release in late May 2009 on edel/ear music and JVC in Asia. Being such a positive, powerful album it was acclaimed by both Stratovarius fans all over the world and the press. The band supported the release of Polaris with an extended world tour in 2009 and 2010. Reviews in many well-known metal magazines described “Polaris” as a true Stratovarius album, some even calling it the best since “Destiny”, praising its brilliant melodies, positive approach and vivid style. The last concert of their Polaris world tour was on 21 August 2010 at the Jazztori Festival in Lahti. Long before that in May 2010 the band started already the first rehearsals for the new record in Sotkamo, Finland. The new found energy and the positive spirits within the band were already proven by “Polaris”, but the long awaited creative boost did not stop there. Stratovarius recorded many demo songs in the course of the summer, coming up regularly with new ideas. Subsequently the band started working in the 5-by-5 studios, revising their demos and recording the best songs. The new album “Elysium” is produced by Matias Kupiainen who proved to be not only a great musician, but a gifted producer as well. Altogether the whole creative working process within the band got more democratic, integrating the best and most valuable unique talents of all five members in the song writing and recording process very well. Currently Stratovarius are looking forward to join Helloween on their “7 sinners world tour” as very special guests, which happens to kick off in Vienna on the same day when the first single of "Elysium" was released – November 26th. The EP bears the title “Darkest Hour” and consists of five songs. “Darkest hour”, a song about keeping the will to face difficult times in life and ending up being stronger, the demo version of “Darkest hour”, “Infernal Maze”, which is one of the new songs on “Elysium” as well and live recordings of “Against the wind” and “Black Diamond”. Equilibrium (DE) - From day one EQUILIBRIUM is known for melodic metal, powerful yet playful, heavy yet sensitive, inspired yet self-contained. The first gig was played in 2001 – from back then only René, Sandra and Andi are left. The first cornerstone was set in summer 2003 when the band released the first CD “Demo 2003”. Intenionally planned as plain demo, it was considered to be full-length album by many in the scene. Equilibrium played first big shows on the Summer Breeze 2004 and Wacken 2005 and released “Turis Fratyr” through Black Attakk in spring 2005. The band signed to Nuclear Blast in Fall 2006 and release their second album “Sagas” in June 2008 which entered the German Media Control Charts at 30. EQUILIBRIUM once again cemented their status as a band that isn’t afraid to combine exotic elements as well as wide screen epic with their music and spice it up with lyrics about myths and sagas which can also be related to the present. In winter 2010 the new album „Rekreatur“ was recorded together with new vocalist Robse. „Rekreatur“ showcases once again what this band is able to do. The new man on the mic fits perfectly and helps the band to step up to even higher levels with his voices diversity and powerful presence. If it comes to the music itself, EQUILIBRIUM stick to what they know: thunderous metal, an epic vibe, hymns and that special battlefield-feeling at its best. Being extremely smart at crossing genres and experimenting with exotic elements makes “Rekreatur” stand out even more. 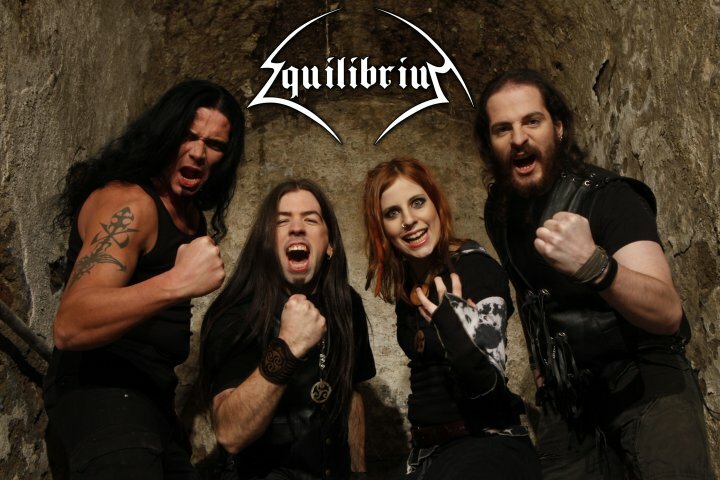 After releasing the album in mid June, EQUILIBRIUM kicked their European Tour together with SWASHBUCKLE and ENSIFERUM alongside the well known Heidenfest in September / October 2010 in order to devastate all stages near and far!